During the first nine months of 2018, Heydar Aliyev International Airport served 3.49 million passengers, the airport said in the statement. This indicator exceeds the same indicator of the previous year by 10 percent. National air carrier Azerbaijan Airlines (AZAL) carried 1,512,000 passengers, while national low-cost airline Buta Airways carried 345,000 passengers. Some 3 million passengers (86 percent of passenger traffic) accounted for international flights since the beginning of the year. Some 34 percent of total number of international passengers accounted for AZAL, while 11.5 percent - for Buta Airways. In addition to AZAL and Buta Airways carrying out international passenger flights in August, the top ten airlines also included FlyDubai, Turkish Airlines, Air Arabia, Aeroflot, UIA (International Airlines of Ukraine), Qatar Airways, Utair, Iraqi Airways, Lufthansa and S7 Airlines. In total they served 143,000 passengers. 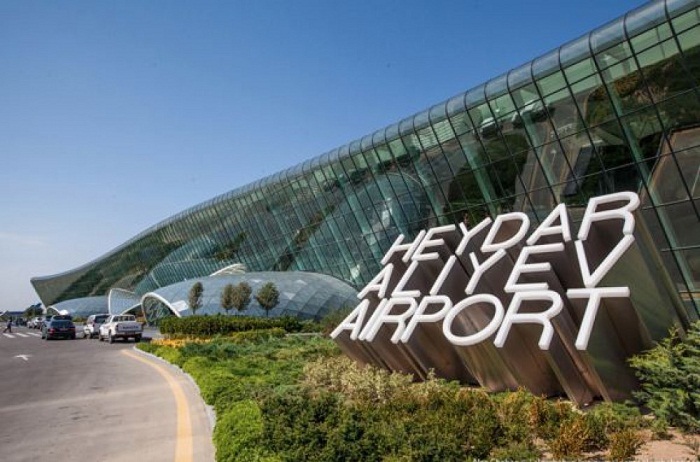 Currently, Heydar Aliyev International Airport serves 30 airlines on over 40 destinations. Top ten most popular international destinations include Istanbul, Moscow, Dubai, Antalya, Sharjah, Kiev, Baghdad, Tehran, Bodrum and Tel Aviv. 328,000 passengers traveled to these destinations during this period. In March 2018 Baku Heydar Aliyev Airport was named the best airport among airports of Russia and CIS countries for the level of the provided services, being awarded the prestigious Skytrax World Airport Awards for the second year in a row.